Isn’t this pretty? 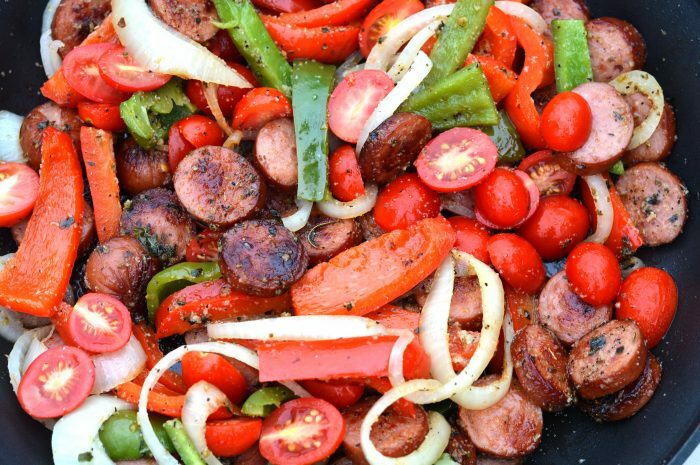 The vegetables are bright and colorful with the smoked sausage. Even better, you cook it all up in a skillet and then serve from it, too.